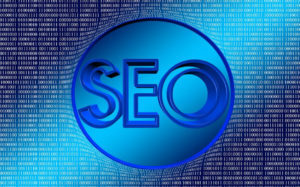 If you have been in business for any length of time, you have likely been approached by a company offering you SEO services. It is understandable for business owners to be hesitant, especially about something that is not easy to understand or master. Is it a good use of your money to hire one of these companies? It using SEO really efficient? Can it really grow your online traffic significantly? Can it be part of a strategy which gets your customers returning and gets new customers through the door? These are all valuable questions. The short answer is YES! Using SEO strategies needs to permeate your entire online presence. Starting with your website and transitioning through your mobile site, Google Places Maps, YouTube Channel as well as your other social media outlets. How Do You Find The Right SEO Company? Finding the right company to take care of this very important aspect of your business can be a challenge. There are many companies out there. Find A Local Provider– While this is certainly not an absolute requirement, being able to sit one on one with your SEO services provider can go a long way to helping you develop an effective marketing strategy. Find A Provider With A Good Track Record– Is your provider a professional? Do they have clients whose listings are at the top of their industries search engine results? Reputable SEO services providers will have a portfolio for you to review. They will have references who should be more than willing to share their accolades. Look for testimonial from past or existing customers. Doing a little homework in this area can go a long way to finding the best provider. Find A Provider Who Specializes In Local SEO– Getting your products and services in front of the people who live in or are traveling through your businesses area is crucial to your success. The only way to do this is to make sure that your business shows up in search engines such as Google ahead of your competitor. 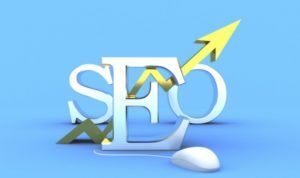 The most effective way to do this is with local SEO techniques. Reputable SEO services companies will also often offer competitive pricing and service options. By searching for companies who offer these pricing options, a local business can get an great ROI. Let Us Optimize Your Business NOW!